Whether hair fall is giving you nightmares? Don’t worry R&W is at your service with some tips to control hair fall in this hot and humid summer. 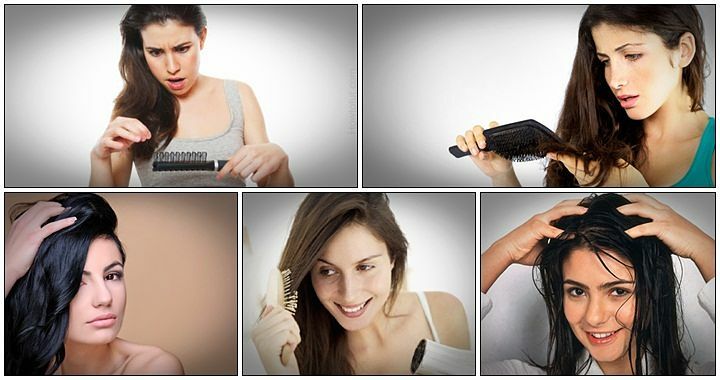 First and foremost reason of hair fall in summers is sweat. If your scalp sweats during summer than you have to make sure that every morning once you wake up you need to wash your hair. You can chose to run fresh water one day and next day go for shampooing. If you have been using a particular shampoo from winters than don’t change it all of a sudden until and unless it is giving you some problem. As per hair experts summer is not the best of season to switch your shampoo. You must always change your shampoo when weather is decent. This can lead to lot of hair fall. Always use a conditioner after shampoo and use in generous portions. In summers moisture from your scalp evaporates really fast. Also this will help you when next day you wish wash your hair with plain water. Make sure to shampoo your hair at least thrice a week followed by deep conditioning. Use hair packs that are enriched with aloe Vera and vitamin E oil. Always apply hair oil before every shampoo wash. You can skip one time but you should not go for two shampoo wash without applying hair oil. Don’t be so rough when it comes to massaging your hair be gentle and caring to them. Make sure to dry your scalp and hair by standing just under fan. Application of oil to damp or sweaty hair can lead to excessive hair fall. If have to go out in sunlight, especially at noon than make sure to cover your hair with a cotton scarf. Try to avoid straighteners, dryers, sprays in summer as much as possible. Your hairs are already prone to so much heat so why bother them with artificial heat. Use a hair serum after wash so that your hair stays frizz free and detangles easily. Make sure to detangle your hair using wide tooth comb. Try to keep your hair tied for atleast four days in a week. More you will them loose greater are the chances for hair loss. These were some of the tips and tricks to save your precious hair. Many more writeups on fashion and beauty are going to publish on reviewandwriteup. So keep visiting my blog.